Luoyang Dahua Heavy Industry Science and Technology Co., Ltd. is located in Luoyang city in China. Luoyang Dahua is a joint-stock enterprise combined with research and development, production, sales and service. The company specialized in manufacturing various crushing equipment, screening equipment, mill machine, washers, feeders, conveyors, environmental and dedusting machine. We provide complete solution, flow design, machine installation, commissioning, training, and after-sale service. Luoyang Dahua Heavy Industry Science and Technology Co., Ltd. covers an area of 200000 m2, owns more than 500 employees with 80 technicians. All of our products have obtained ISO9001 and CE (EU) certification, and has the well-known trademark "HUAZN" in China. At present, the company research and manufacture many advanced products, and has 55 patent technology and 4 registered trademark, which has played a leading role in the industry. Luoyang Dahua Heavy Industry Science & Technology Co., Ltd. is a company which focuses on the industry for several decades. It has accumulated wide practical experience with research and development, manufacturing and application of equipments. Through 60 years development, the company has strong technical power, reliable fabricating facilities, and professional service team. From understanding the needs of customers to solve the needs of customers, we committed to combine the advanced design concept with reliable equipment performance, to provide cost-effective sand and stone production solution. Established the iron industry community, engaged in repairing and machining business of agricultural machinery and mining machinery. Developed the first vertical shaft impact crushing in China, obtained the excellence award of “New Products of International Mining Equipment” and began to offer the crushing equipment for the client. The company has the ability of R&D and manufacturing in Jaw Crusher, Impact Crusher, Cone Crusher, Hammer Crusher, Roller Crusher, Vibrating Screen, Conveyor and Mills. 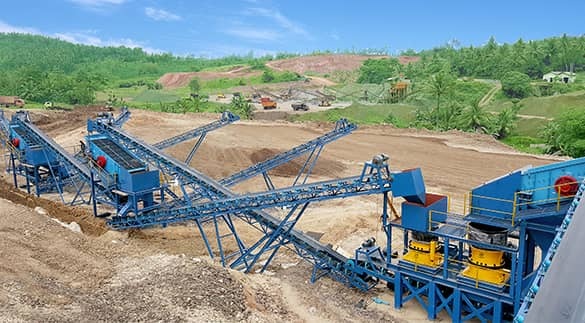 Company restructuring and established Luoyang Dahua Heavy Type Machinery Co., Ltd., then continue introduce the international advanced technology of Hydraulic Cone Crusher, Jaw Crusher, Vibrating Feeder, Vibrating Screen and etc. 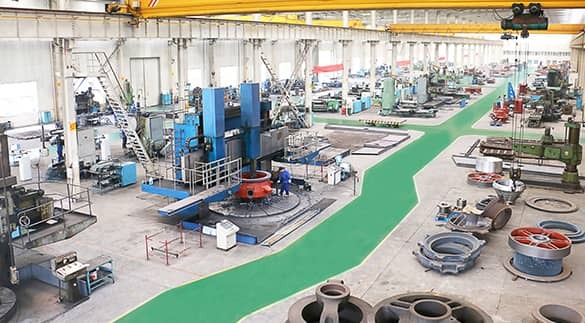 The company moved into an area of 190000 m2 of Luolong Science and Technology Park, an annual production capacity of 100000 tons of mining machinery manufacturing and established the wear-resistant materials company, refabrication and lease company, automation product company, has the matching ability of complete industrial chain. The company invested 150 million yuan to build remanufacturing project with annually repair capacity of 20000 tons. Now, we focus on the products and technology development of crushing and grinding machinery. Continue offering the professional solution plan of complete crushing and grinding system.